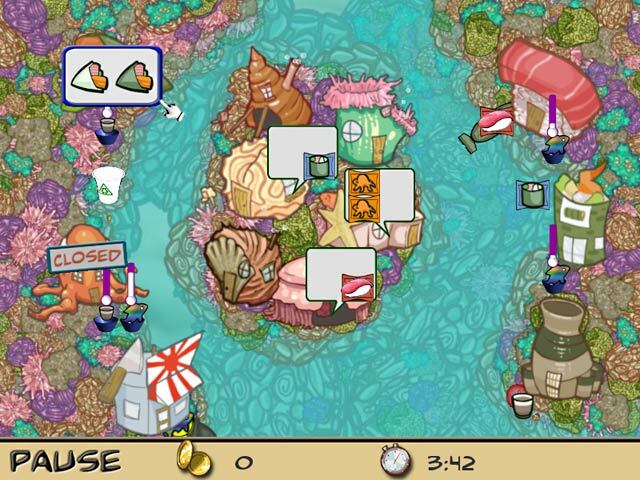 Dive into the exciting underwater world of a delivery turtle and help Tony Tortuga start his very own sushi delivery service and become the best business on the reef! Use your profits to upgrade your business and hire employees to increase customer service and deliver faster in this fast-paced Time Management game! Collect valuable trophies as you accomplish goals and work your way to the top of the business world in Sushi To Go Express! 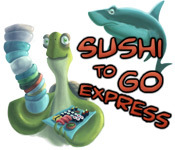 Sushi To Go Express is rated 2.5 out of 5 by 2. Rated 3 out of 5 by MomsLife from Entertaining, but not too challenging This game is entertaining, but is not very challenging. I made it through each level with plenty of time to spare. Graphics and sounds are good. 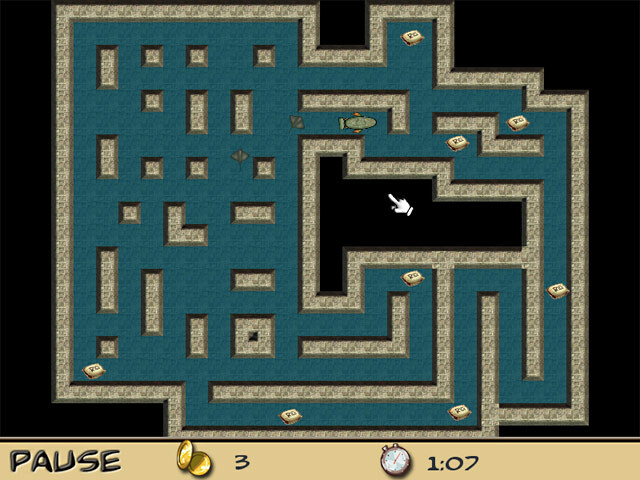 The upgrades are achievable and make the levels more interesting. Overall a good game for casual play. Rated 2 out of 5 by bep1 from Not a good game Very primitive game. Maybe kids might like it. 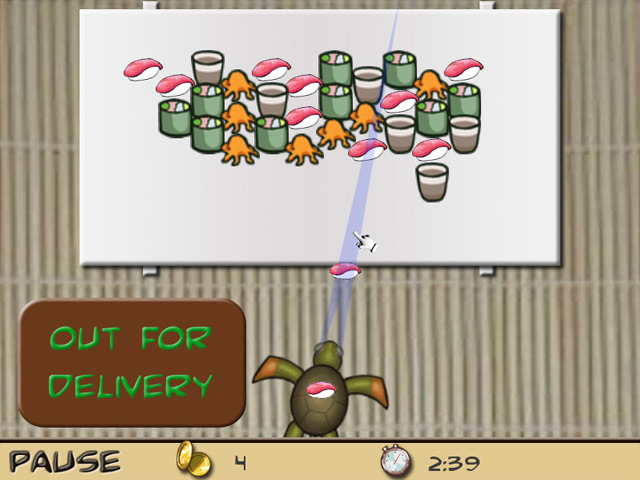 Help Tony Tortuga start his very own sushi delivery service and become the best in town! Dive into an exciting underwater world!